Will Dragon Boat Racing Ever Be In The Olympic Games? Recently, I was invited to speak at the monthly meeting of one of this country’s largest dragon boat clubs. The Grand Masters Dragon Boat Club is located in one of Florida’s fastest growing cites. The Villages is a 55+ “hyper” active community who were introduced to dragon boat racing in 2010. The club now boasts 9 independently managed teams within the umbrella organization. Together with a local offshoot, Southern Heat, numbers have grown to over 300 members. Several of their members have traveled internationally to represent the club and Team USA at IDBF world championship events in the Senior B and C racing classes. I decided that my talk would be about the challenges of building a well-oiled, connected, national team in a vast country like the USA. As I travelled up I-75 towards The Villages I began to doubt the relevance of my topic. It may be that only 10% of the audience has Team USA aspirations. The rest would nod off. I was nervous. Fast forward. Done with my talk and no one was asleep. This was good. Now for Q&A. First question… “what’s going on with the United States Dragon Boat Federation”? Second question… “will dragon boat racing ever be in the Olympics”? Clearly my concern that this group was mostly interested in recreational aspects of the sport was way off. They didn’t even ask about the national team. They wanted to know if they would ever see their sport in the Olympics! The Summer Olympic Games… the world’s greatest sporting stage and the dream of every young athlete. The grail for pretty much every international sport federation. While I did my best to describe to the group the current state of the sport as it concerned Olympic status, I felt a bit inadequate since it was a topic I had not researched recently or completely. In order to assess even the prospect of dragon boat inclusion in the Olympic Games it is important to understand the current mindset and polices within the International Olympic Committee (IOC). In late 2014 the IOC adopted a strategic roadmap for the future of the Olympic Movement (Olympic Agenda 2020). The Olympic Games are arguably the world’s most valuable sport marketing property. 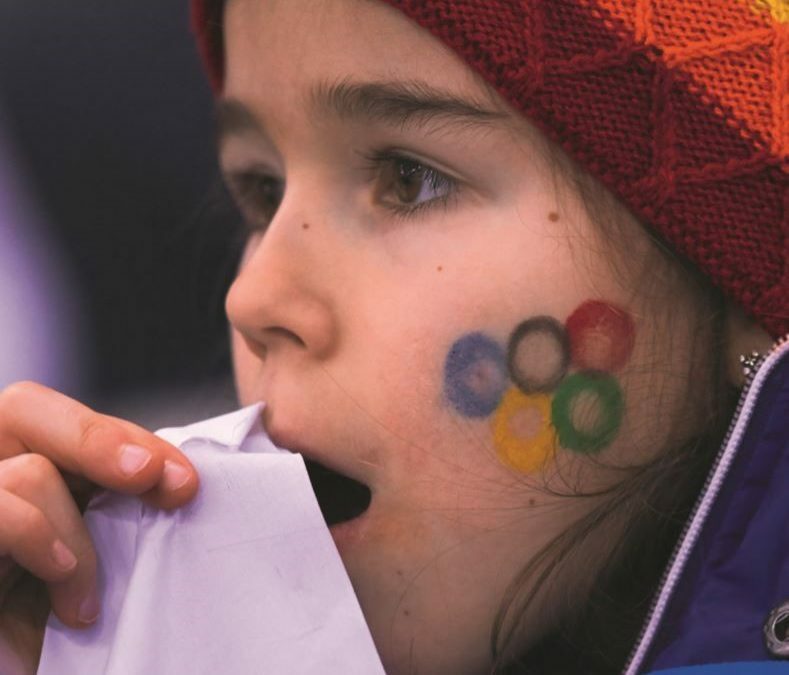 The IOC are in the business of safeguarding the uniqueness of the games and strengthening sport in an ever-evolving society. There are numerous recommendations that guide Agenda 2020. At the core are three principles; sustainability, credibility and youth. Feel free to read all the published recommendations here . I have pulled out a few nuggets that I feel are relevant to this article. These are in italics and my comments follow in regular text. 1.4 – The IOC to allow, for the Olympic Games, the organization of entire sports or disciplines outside the host city or, in exceptional cases, outside the host country notably for reasons of geography and sustainability. This is certainly a positive development since the existing Olympic regatta sports, rowing and canoe-kayak, fill the two-week program entirely and are unlikely to yield to accommodate dragon boats. If Organizing Committees (OC’s) now have the IOC’s blessing to organize sports outside the host city, does it become possible, in the case of Los Angeles 2028, to host an Olympic dragon boat program in Sarasota while rowing and canoe-kayak take place near L.A.? The question that comes to mind is… what benefit is it to the OC to host an event in such a faraway city? I think they would much prefer to host a new event that can take place in the core of the Olympic village. A colleague of mine suggested that this Recommendation is directed almost entirely at clusters of geographically smaller Euro countries to permit certain events, within a bus ride from the host city, to host their competitions at an out-of-region or even out-of-country venue. 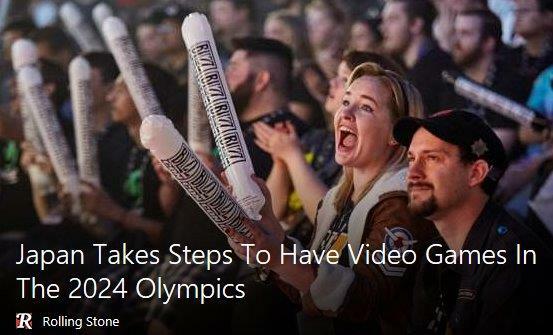 This is likely the case since it would be important for all athletes to be able to conveniently participate in all complementary Olympic events such as opening and closing ceremonies. 10.1 Regular reviews of the program to be based on events rather than sports, with the involvement of the International Federations, and with the following restrictions to be respected. “Regular reviews” means that the IOC can cooperate with an OC to introduce a number of new sports, which essentially introduces new IF’s to the Olympic Games. The “review” can also consider new events which permit an existing Olympic IF to introduce a new discipline. Clear? Here is a real-world example. In 2020 the IOC has agreed with the Tokyo OC to introduce 15 new events to their program. Five of those events are being hosted by IF’s that are newly knighted as Olympic sports or that have been re-instated as part of the games: Baseball/Softball, Karate, Skateboard, Sports-Climbing and Surfing. Ten new events are being hosted by six existing Olympic sports: 3-on-3 basketball; mixed gender relays in track, swimming & triathlon; mixed team events in judo; and mixed doubles events in table tennis. What do you think the chances are that the IOC membership applications for those 5 new sports were fast-tracked? Like, 100%!! 10.2 The IOC Session to decide on the inclusion of any sport (International Federation) in the program. 10.3 The IOC to allow the Organizing Committees of Olympic Games (OCOG’s) to make a proposal for the inclusion of one or more additional events on the Olympic program for that edition of the Olympic Games. With these recommendations the IOC has opened the door to more events governed by new sports, whether the sport presently exists within the IOC family or not. Consider a vision statement published by the Los Angeles 2028 OC. “Produce a fresh blend of sport and entertainment to help refresh the Olympic brand worldwide and capture the imagination of youth”. Can dragons be part of this fresh blend? Well, I plan to send this article to the USDBF, the entire L.A. organizing committee and members of city council. It’s a start. 11.1 The IOC to work with the International Federations to achieve 50 per cent female participation in the Olympic Games and to stimulate women’s participation and involvement in sport by creating more participation opportunities at the Olympic Games. 11.2 The IOC to encourage the inclusion of mixed-gender team events. No lip service here. The 2020 OSG’s in Tokyo will have several new events that showcase mixed teams. I’ve listed them a few paragraphs up. No need for our governing bodies to push mixed racing. It’s already the most popular racing class across all age spectrums. Women a close second. For Paris 2024 it gets a bit bizarre with the Paris OC considering eSports (gaming) as a prospect event. This reporter certainly hopes our sport leaders in Europe have been pitching dragons. Not much news from the IDBF recently other than some chit chat with the International Canoe Federation (ICF) about cooperating on future world championships. “Gong!” I wonder if the ICF has covertly approached the Parisians about dragons… quite possible given their aggressive stance against the International Surfing Association (ISA), acting as spoilers when the ISA showed up at the IOC’s front door to claim SUP racing as their discipline. That claim has stalled, and the two parties (ISA and ICF) are currently attempting to reach a settlement using the Court of Arbitration for Sport (CAS) mediation process. If mediation fails, the dispute will require CAS binding arbitration to finally resolve if a surfboard (that someone happens to move with a paddle) is really a canoe. I’m sure the IDBF is anxious to hear the result. If a paddled surfboard is indeed a canoe, then we can expect the ICF will, at some point, also ask the CAS to classify a dragon boat as a canoe. In this case we may need to count on the ICF to push the event with the Paris and L.A. OC’s and with the IOC. Here is an article where you can read more about the SUP dispute. As a predictability exercise for the future of our sport simply insert IDBF where you see ISA and replace SUP with dragon boat. You’ll notice about half way through the article the writer mentions dragon boat albeit in the context of a discipline of the ICF. Ugh! Doesn’t he know IDBF types are on his side!! There is a subtle but important distinction to be made between the SUP-ICF dispute when compared to the IDBF-ICF row. When asking the question “is a stand-up paddleboard a surfboard or a canoe?”, remember that the ISA is already a well-established IOC member federation… that now has an Olympic event… surfing… on which to hang their hat. They are simply claiming a new discipline (event) should belong to them. In the case of the IDBF, they are a prospective IOC member applicant who are trying to protect their entire sport since the entire sport consists of only one discipline (Ice Dragons Aside). While I am empathetically on the side of the IDBF “we developed the sport” argument it is difficult for me to construct a scenario where the CAS will take their side. Difficult turns into improbable if the ICF wins the upcoming CAS SUP decision… and near impossible if the 2018 ICF World Championships in Atlanta in September are able to attract a substantial number of ICF national federations. The IDBF has one high card to play. The CAS has previously ruled that the IDBF is the world authority for dragon boat racing. I’m just not sure if that equates to control of dragon boat in the context of Olympic events. The challenges the IDBF faces are formidable. The IOC takes great issue with International Federations that go nose to nose on their political battlefield. They view the ICF incursion into dragon boat as a major issue which stands directly, and possibly legitimately, in the path of IDBF recognition. As with the ISA/ICF conflict, the IOC has previously escorted the two paddlesport federations out the front door with the advice, “work it out yourselves or head for the CAS”. In the meantime, opportunities that existed leading up to Agenda 2020 have slipped away during what seemed like a brief period of IDBF rebooting after its 2015 leadership shuffle. Bottom line… the IOC will not consider introducing a sport or discipline to the games if it is at the center of a conflict between two IF’s. In the meantime, those skateboarders, surfers and climbers… well, they got it done. Congrats to them! The dynamics around who owns the sport is a sidebar. This article attempts to answer the question, “will dragons get to the Olympics”, not who gets to introduce them. For most of you it doesn’t matter much who brings our show to the Olympic stage. Just that it gets there. The IOC’s new direction gives our sport fresh hope and I would encourage all of you to email the national and international representatives in your country to tell them that you want Olympic Dragons to take center stage in all of their future meetings. Finally, I wanted to end this article by quoting another blogger who responded to advocates of bringing darts, chess and e-games to the Olympics. He joked, “If you can smoke while doing it… it ain’t a sport.” Which is only funny to me because the legendary Shun Di team out of China, who won many world championships in the 80’s and 90’s, was famous for puffing away before, during and after their races.